Being a good performer requires FULL COMMITMENT: In order to captivate the audience, you can't hold anything back. Lenny Kravitz clearly knows this, as he regularly dazzles concertgoers with his guitar playing/guitar faces. He probably also knows that sometimes, when you bare your soul onstage to a sea of strangers, you almost feel naked. And last night (August 3) in Stockholm, he actually was naked. In the crotch area. The "Fly Away" singer was playing to a crowd of thousands at a Stockholm theme park called Gröna Lund when, in a fit of true rock frenzy, Kravitz crouched down for an intense guitar solo. That's when the unthinkable happened: The seams of his leather trousers split to reveal literally all of his business. It's almost as if he was pointing at front row. Guess they're glad they got there early? According to The Local, Lenny briefly left the stage and reappeared in a pair of functioning pants — but by then, the stray appendage had been captured on camera phones and posted to social media. One eyewitness told a Swedish tabloid (via The Local), "It was insane, I killed myself laughing. And then I called my mum who was there at the show as well. Her reaction was the same and she almost killed herself laughing too." Sadly, our company's standards policy prevents us from sharing stray dong imagery, but if you'd like a gander (NSFW! Dong ahoy! 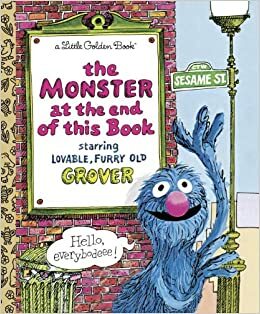 There's a monster at the end of this book! ), one can be had here. Also, here. In his defense, underwear is less than practical when you're wearing semi-breathable animal skins! Our hearts and thoughts are with Lenny's daughter Zoe Kravitz at this difficult but also hilarious time.